I didn't know there was a Petaling Jaya Museum until I saw a signboard while visiting the nearby Wat Chetawan (Thai Temple). 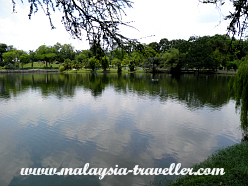 The museum is located in Taman Jaya which is a small park surrounding a lake and is a peaceful haven in the centre of bustling Petaling Jaya (PJ for short). It may not be the most exciting museum in Malaysia but it tells the story of how PJ was created. 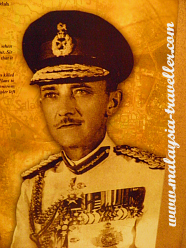 PJ was established in the 1950s at the instigation of General Sir Gerald Templer who was the High Commissioner of Malaya and the Director of Operations in the struggle against Communist terrorists during the Malayan Emergency which was going on at that time. Kuala Lumpur was badly overcrowded and teeming with squatters. 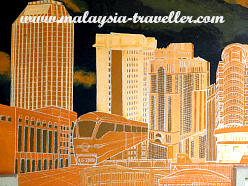 Templer thought that creating a satellite town six miles from KL would relieve some of the pressure on the city. It would have the added benefit of helping to win over the hearts and minds of the new town's residents and keep them from supporting the terrorists. 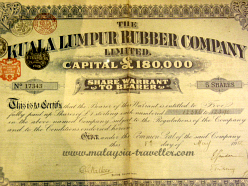 A 1200 acre rubber plantation along the Old Klang Road known as the Effingham Estate was chosen as the site for PJ. Trees were cleared and the Selangor Government offered 1300 lots of land of 4000 square feet each to settlers at very nominal prices. 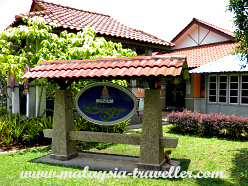 Thus was born the first planned new town in Malaysia. 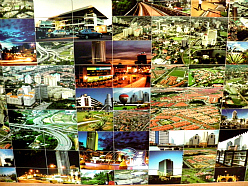 From these humble origins PJ has gone on to be a sizeable city in its own right with a population of over 600,000 and it is the commercial and industrial hub of the Greater KL area and a key part of the sprawling Klang Valley conurbation. 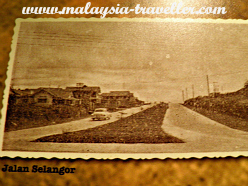 The museum's old photos are interesting and show empty and newly built dual carriageways on Jalan Selangor and Jalan Sultan in the 1950s. Nowadays of course PJ's roads are some of the most traffic-clogged in the country. 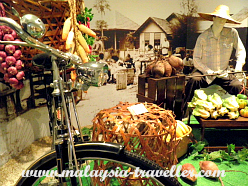 Other displays in the museum include a small section on the tin and rubber industries and information about the city's three main communities - the Chinese, the Malays and the Indians. 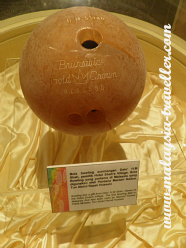 The museum also boasts the first tenpin bowling ball used in Malaysia. 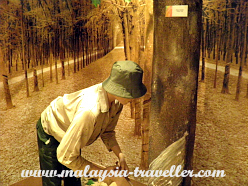 The museum explains that PJ was named after the petaling tree (ochanostachys amentacea) which used to be commonly found in the area. Its trunk grows up to 30m tall and 2m in circumference. Its buttress roots grow very slowly and take 150 years to reach full maturity. The seeds of the tree are edible when cooked while the bark can be used medicinally to combat fever. The timber makes good telegraph poles and, due to its somewhat springy qualities, is used for gymnasium equipment like parallel bars. 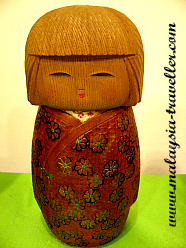 A temporary exhibition in the museum is The World of Kokeshi Dolls which is supported by the Japan Foundation. 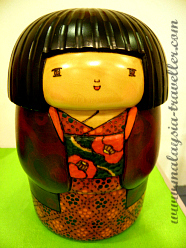 The exhibition runs until 25th April 2013. The museum is open from 9am to 5pm everyday except Fridays and Public Holidays. 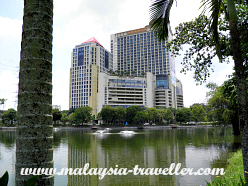 Taman Jaya is the closest LRT station. PJ's Thai Buddhist temple, Wat Chetawan, is less than 5 minutes walk away.